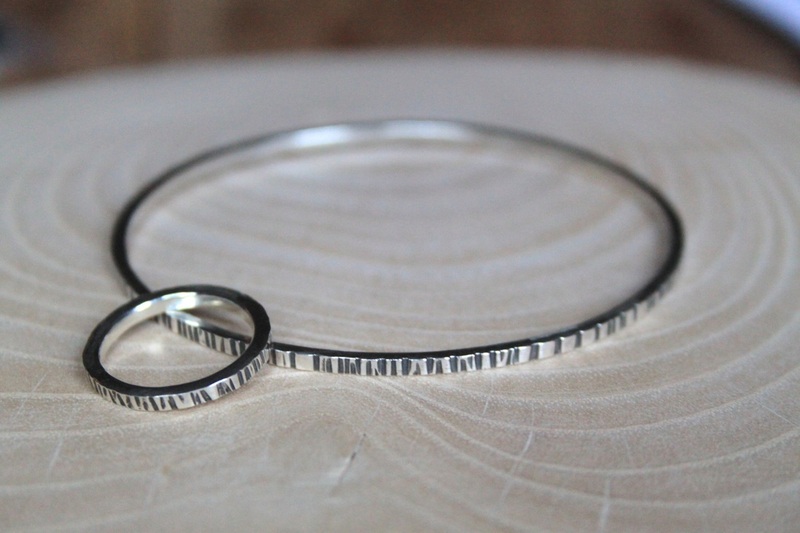 These hammered bangle and ring are made from 2mm-thick solid silver square wire﻿﻿, they can be bought as a pair or individually. The finished effect reminds me of the silhouette of a bamboo forest. 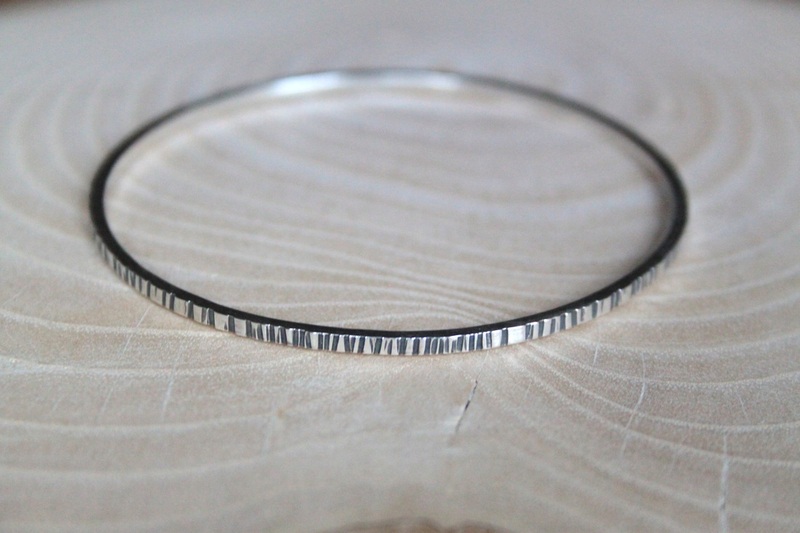 The ring comes in a size K or O and the bangle is a medium fit (with an inside diameter of 65mm). 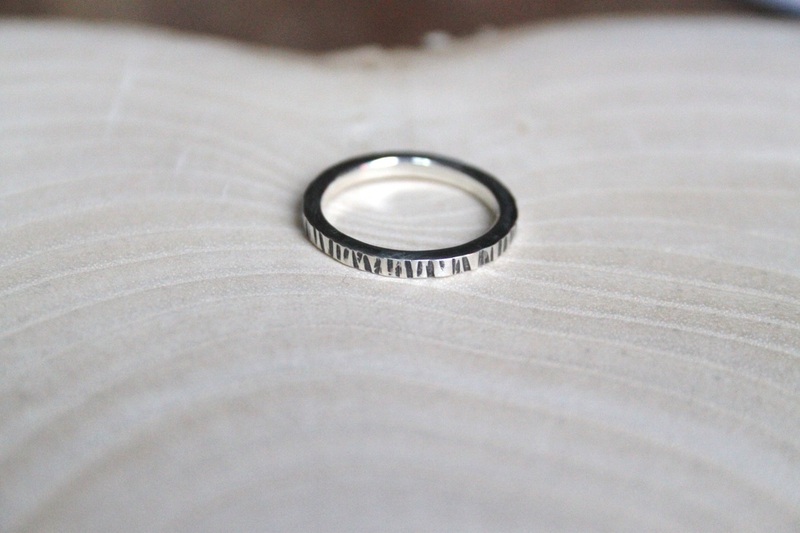 The bracelet and/or ring comes carefully packaged in a lovely black jewellery box with felt inlay.